CNC Milling & Turning Machines • Plastic Injection Molding Machines • Bottle Cap Assembly Equipment • Machine Shop • Lab, Test & Measurement Equipment • Factory Support Equipment • Material Handling Equipment • And More! 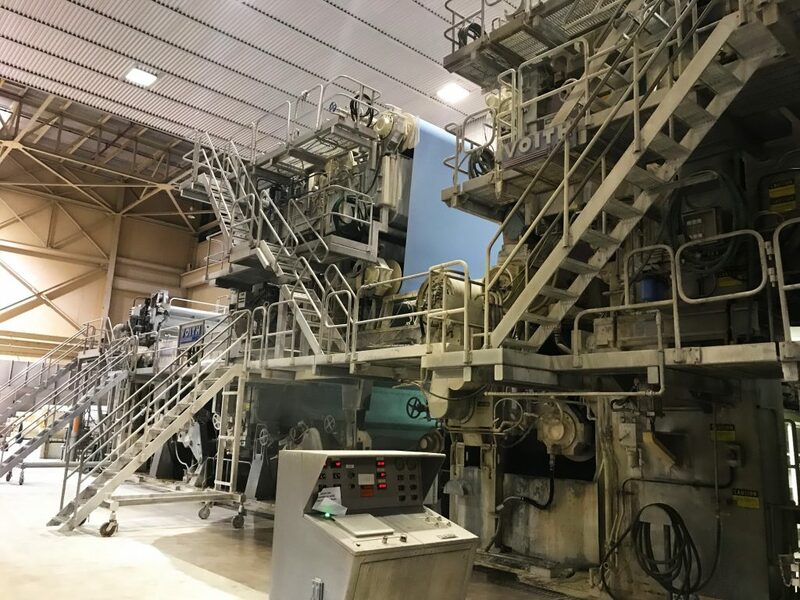 Underwater Pelletizing Line • Twin & Single Screw Extruders • Spin, Rotary, & Flake Dryers • Pelletizing Line Components • Machine Shop • Material Handling Equipment • Parts, Stores & Supplies • Office Equipment, Furniture & Fixtures • And More! (32) Cincinnati & Van Dorn Injection Molders w/ Whittmann Robots • (3) 15-Ton Bridge Cranes • (3) Silos • Large Quantity of Plant Support • And More! 70 TPD Complete Crystal/Impact Polystyrene Production Line, Installed 1996. Recent Upgrades, Controls, Ready for Immediate Operation! Stainless Steel Tanks • Reactors & Processing Equipment • Granulators & Pelletizers • BUTLER Silos • (2) CAT Gen Sets • Forklifts & Material Handling Equipment • Chillers & Hot Oil Systems • Compressors & Factory Support Equipment • Bulk Bagging & Packaging Equipment • Safety Equipment • New & Factory Rebuilt Oil Pumps, Blower Systems, Motors, Supplies, Change Parts, & Maintenance Equipment • And More! Late Model Vertical Injection Molding Machines • 2008 CMM, Inspection Equipment, Testing & Lab Equipment • CNC Lathe & Machining Centers • AHD & Precision Surface Grinders, Machine Tools & Accessories • 2007 Silos, Granulators, Dryers, Mold Heaters • Pallet Racking, Forklifts, Reach Trucks, Order Pickers • Warehouse & Office Furniture & Fixtures • And More! CNC Machining Centers & EDMs • 100-Station CNC Robotic Pallet & Tool Changer • CNC Vertical Milling Machines • Precision Hydraulic & Hand-Feed Surface Grinders • Extensive Selection of CNC & 3R Tooling • Vertical Mills, Lathes, Tool & Cutter Grinders • Inspection & Measurement Equipment • Machine Tool Fixtures & Accessories • VIDMAR Tooling Cabinets, Storage Systems, Workbenches • Air Compressors, Forklift, Mold Lifts • Highline Office Furniture & Fixtures • Engineering Computer Systems & Network Equipment • 2003 3/4-Ton 4x4 Diesel Pickup Truck • And More!